New Screenshots for #TGfU Games PE! 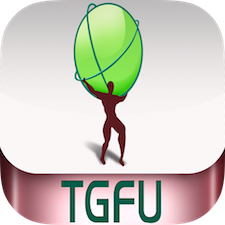 For the first time since the release of TGfU Games PE on October 1st, 2012, screenshots have been updated to reflect the new features found within the app as well as the new iOS 7 look! These screenshots will be seen in the next update, so by the first week of December. Feel free to have a look below!